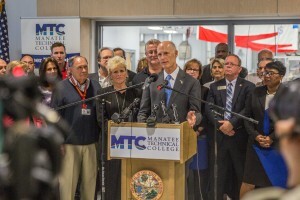 Governor Rick Scott visited Manatee Technical College to award the first grant from the Florida Job Growth Grant Fund. The grant is for $201,500 in funding from the Florida Department of Economic Opportunity (DEO). 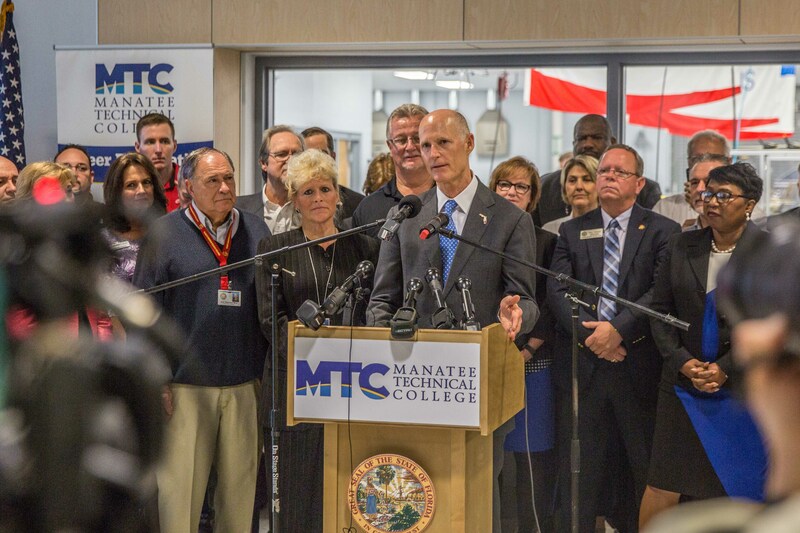 This funding will support the purchase of high-tech equipment needed to expand the workforce training programs in Advanced Manufacturing and Production Technology, which will help prepare more students for future career opportunities. CareerEdge also supports the growth of the manufacturing industry in the Manatee and Sarasota region. The addition of this grant will provide high-level training to students that will lead to long-term careers in this growing industry. By giving our region the materials and resources to build a skilled workforce, the college will continue to place students in jobs.